We have been selling Porsche on behalf of their owners for over 25 years. We have experience and knowledge. A private sale is far less attractive to a potential buyer of a higher value car such as a Porsche. Buyers want information, expertise and piece of mind. Our brokerage service reduces the risks of trying to sell your Porsche privately and removes the costs associated with selling at auction. You don’t have the inconvenience of dealing with prospective buyers, as we will do that for you. The proposition is simple. There will always be a greater difference in price between an outright sale of a higher value car than if you were to sell to a retail dealer. Our aim is to get you that higher figure upon sale. In return, we can make our profit above the agreed figure without having to invest our money in your car. While your car is safely in our care, we will present it to our Worldwide database of clients and contacts. In addition, we will respond to enquiries promptly with the information required; we supply video and detailed photographs from bumper to bumper, inside and underneath. We carry out data checks and offer pre-purchase inspections to potential buyers ensuring your Porsche is represented to its best potential. Because of our established reputation, expertise and honesty, a high proportion of our customers will rely solely on these presentations and will complete a purchase over the telephone or internet. We do all the hard work on your behalf. We deal with the enquiries, establish who is a real buyer and weed out the tyre kickers. Buyers deal with us, they are not calling you or visiting your home and you avoid the associated risks. We make certain the deal is concluded safely, professionally and ultimately, ensure your vehicle, your privacy and your security is protected. Throughout the process we keep you informed of any progress and upon completion of sale, we transfer the agreed funds direct to you within 3 days. Taking the brokerage route is ideal if you are not a ‘desperate seller’ who needs the cash immediately as a part exchange or the like. It also very much suits the more valuable and classic Porsche as we have knowledgeable and passionate buyers waiting for the ‘right one’. 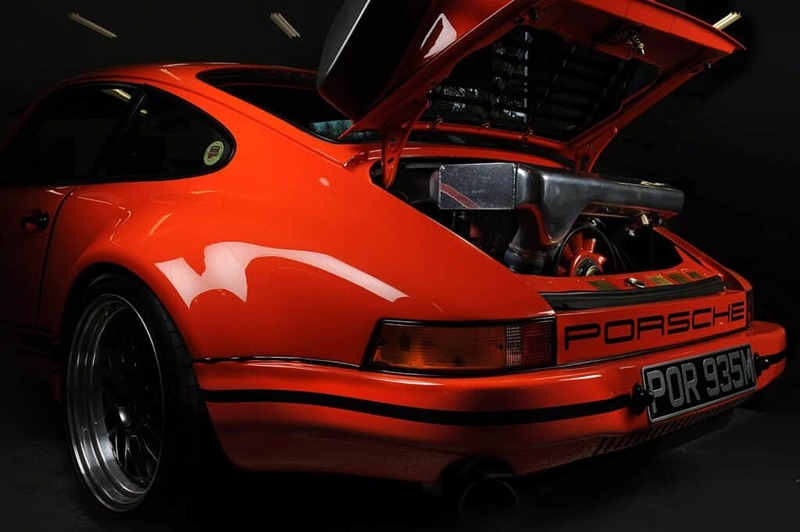 Having us present your Porsche on your behalf is a way of getting a much better price and is pleasantly simple and safe. Our brokerage has proven very popular with customers selling Porsche. You can see here testimonials from clients who have used this service. On one occasion, a client had four vehicles to sell. We visited, inspected and arranged collection. Once here, the cars were detail valeted, photographed and presented, plus a few little ‘lack of use issues’ were resolved in our workshop. Within three weeks, all four were sold and monies transferred into the client’s account. A fabulous result for our customer, the new owners and the extra business was welcomed by us. We are not a dealer group with anonymous management. Both Richard and Adrian are happy to discuss your needs and expectations and together with you, decide on how to market your Porsche for the best result. We might offer to buy your car outright, but it may be more appropriate to move the Porsche forward in a different way. Brokerage could be a brilliant alternative depending on your sale situation.